At Firbeck we aim for high standards of achievement in a happy, caring atmosphere. Children are taught according to the New National Curriculum, introduced in September 2014. Some of our work is done using a thematic approach, where children study a topic, which involves several subjects. Teaching time amounts to a minimum of 21-24 hours weekly and will include whole class sessions, group work and individual attention. We encourage a co-operative approach to learning where all children are given the opportunity to contribute their ideas and listen to others. Children experience a daily maths lesson. Oral and mental work form part of these lessons where, at an early stage, children learn to recognise numbers and count, using practical activities. Later they will use various resources to perform calculations in different ways. After experiencing a variety of situations, they will be taught to remember and recall number facts, such as tables. As children progress through school they will be taught formal and informal calculation strategies for addition, subtraction, multiplication and division. Children are encouraged to talk about maths to explain and discuss the methods used. Wherever possible, maths is taught a practical, hands on subject where children are encouraged to explore problems and investigations in mathematics. English is a core subject and is taught daily. 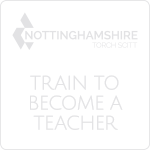 Teaching focuses on developing skills in the areas speaking and listening, reading and writing. It is recognised that whilst some skills need to be taught in isolation the best English teaching maximises the use of cross curricular opportunities. Planned units offer children the opportunity to examine a range of genres. These include stories within a range of settings, plays and scripts, a range of non-fiction texts and poetry. We believe that if children are to become great writers they need to be exposed to great literature. Children read quality books by quality authors from entry into school. Children experience shared, guided and individual reading opportunities and we still value the opportunity of reading to children for its sheer joy and pleasure. We encourage children to purchase a reading folder from the school office so that they can take books home. We expect children to read regularly as part of ongoing homework. 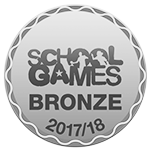 This ensures that they are able to put skills taught in the classroom into regular practice. Each child is provided with a personal organiser (school diary). We ask that you record your own positive comments here as yet another part of our home-school communication. From the very earliest stages children learn to recognise key words by sight. They are also systematically taught how to build words phonetically both for reading and spelling. The overriding importance of reading is in its comprehension. ‘Reading for meaning’ is at all stages our focus. The skills of spelling, grammar and handwriting are seen as crucial as these enable children to focus on creativity when writing. Children are taught to identify the differences between formal and informal writing. Wherever possible they write for a purpose and with a real audience in mind. Science is taught mainly through exploration and children are encouraged to make links with their learning through investigation. Science topics are covered through a scheme of work that covers materials, electricity, animals, forces, light and sound, space, the environment, and ourselves. Our extensive grounds and wooded area give our children the opportunity to study insects, plants and habitats through hands on experience. We are well resourced and this gives all children the opportunity to acquire skills and knowledge through practical experience. 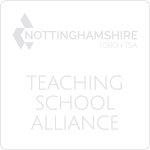 We also have good links with Nottingham University Science department and the use of science resources at Nottingham University Samworth Academy. Formerly known as Information Communication Technology, is embedded throughout the curriculum. All pupils have access to ICT and there are specialist technologies and support for pupils who need differentiated access to ICT. In the New National Curriculum pupils will learn how to design and create simple programs. Initially, pupils explore ICT and learn to use it confidently to develop their ideas and record their creativity. They become familiar with hardware and software. At key stage 2 pupils use a wider range of ICT tools and learn to consider the quality of information and decide on the most appropriate ways to use technology in their learning. The curriculum covers safe use of technology and Firbeck Academy has a filtered and monitored internet connection across the site which enables safe access to information. 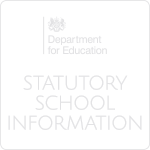 The internet safety; acceptable use and Computing policies are available from the school office.